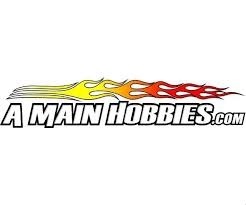 Situated on the famous Silver Dollar Fairgrounds, AMainhobbies.com’s Silver Dollar R/C Raceway was built to be the ultimate outdoor off-road R/C racing venue. Each part of the facility was designed with both the racer and spectator in mind, with a comfortable pit area and bleacher seating for race fans. From its professionally engineered stadium lighting system, massive drivers’ stand with integrated tech and scoring booths, and an expertly manicured track surface, Silver Dollar R/C Raceway is a destination worthy of a spot on every RC racer’s bucket list.